energy show and songs you know and love, Members Only is guaranteed to get you dancing and singing along all night! 80s Tribute Band, the premier 80’s tribute act. Their high-energy, trademark performance merges an incredible light show with music that spans the decade: Journey, Michael Jackson, Def Leppard, Prince, Bon Jovi, G&R, and many more artists. Stylistically, the band plays a balance of rock and pop that emphasizes a packed dance floor. Put on your party gear, and let these masters of the 80’s remind you that the 80’s will always live on. 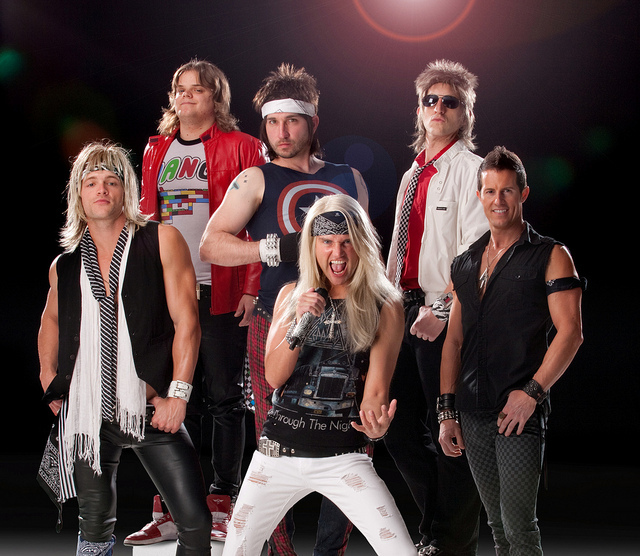 80s Tribute Band is available for weddings, private parties, clubs, festivals, showcases and more. Your event is important and you need the best entertainment. Book the best live act: book Members Only!